2013 was a year to remember. It brought happiness, joy, love, and many memories. Overall, I think it was an amazing year and it will be very hard to top it next year. 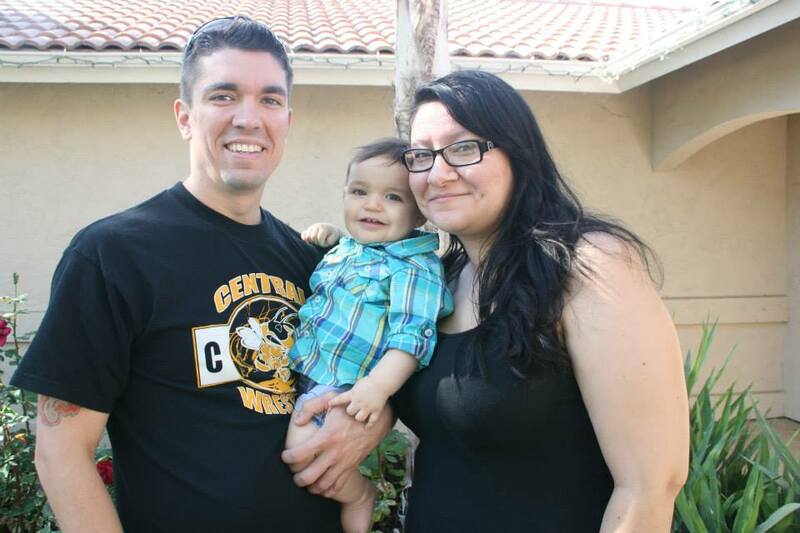 To start off, our baby boy Carlos Martin was born just 17 days after the year began! What a way to kick-start a new year! He grew so fast we couldn’t believe it! Every few months he had a new wardrobe to fit into, was making us laugh, and keeping us on our toes. Our chubby little boy grew right in front of us, and in some ways I haven’t realized his major changes until I look back on photos from just a few months back. 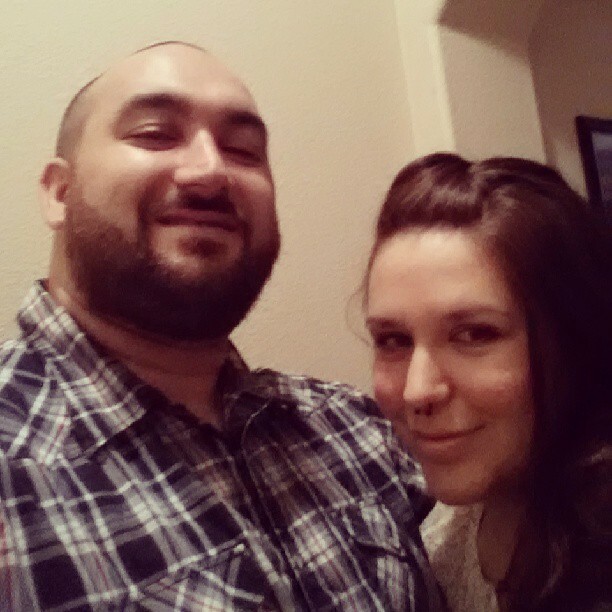 My husband and I celebrated our fourth year of being married. 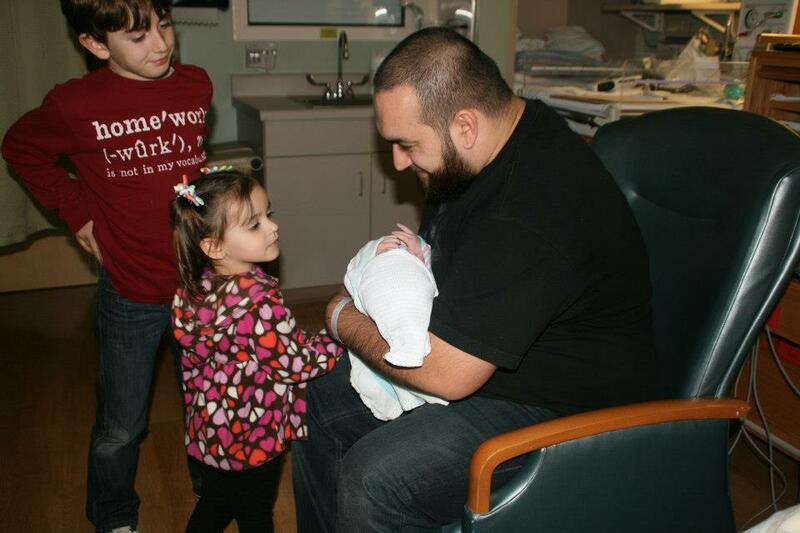 Emery Ava turned 3 years old in addition to being a big sis. 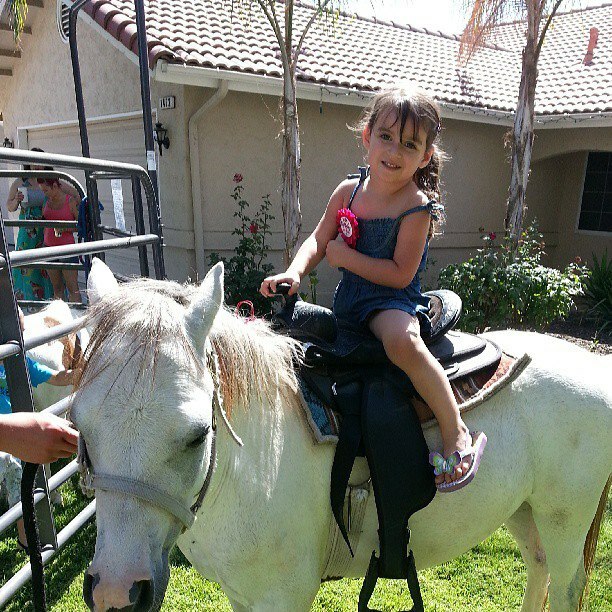 She was given a birthday to remember with pony rides, rabbits, goats, chickens, and a mini horse all in the front yard. She learned how to write her name and spell it out. She has excelled in her home school studies with me and I couldn’t be more proud of her. We took our annual beach trip! Carlos did amazing! I was worried that a three-hour car ride would be too much for a little baby but he proved me wrong. Emery loved making sand castles and Victor found a sea-snail that we all held. On this trip Emery also got her first bee sting. Luckily she is not allergic (what a way to find out if she was) and she handled it like a troop! In no time she was back out there enjoying herself. Victor turned double digits and is nearly in his pre teens (God help us all). 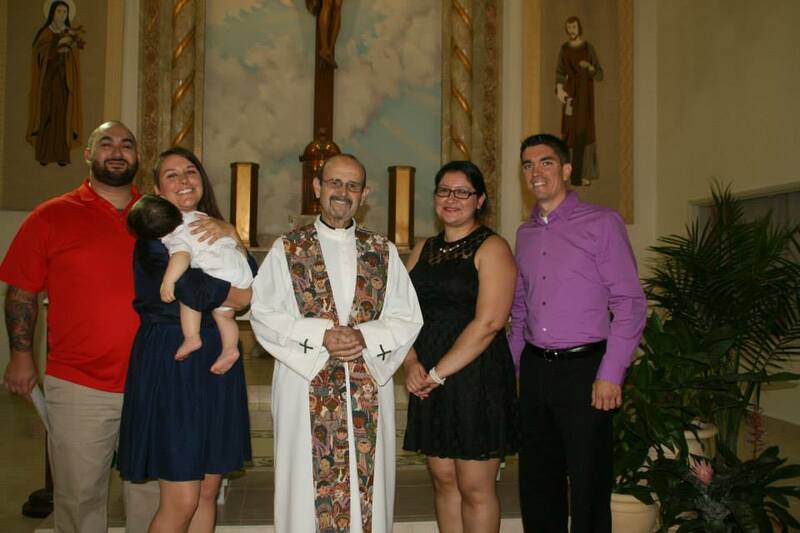 In October our dear friends Valerie and Bryan became Carlos’ Godparents and will forever be apart of our lives. For Thanksgiving Carlos was old enough and had plenty of teeth to dig in to some celebratory turkey. 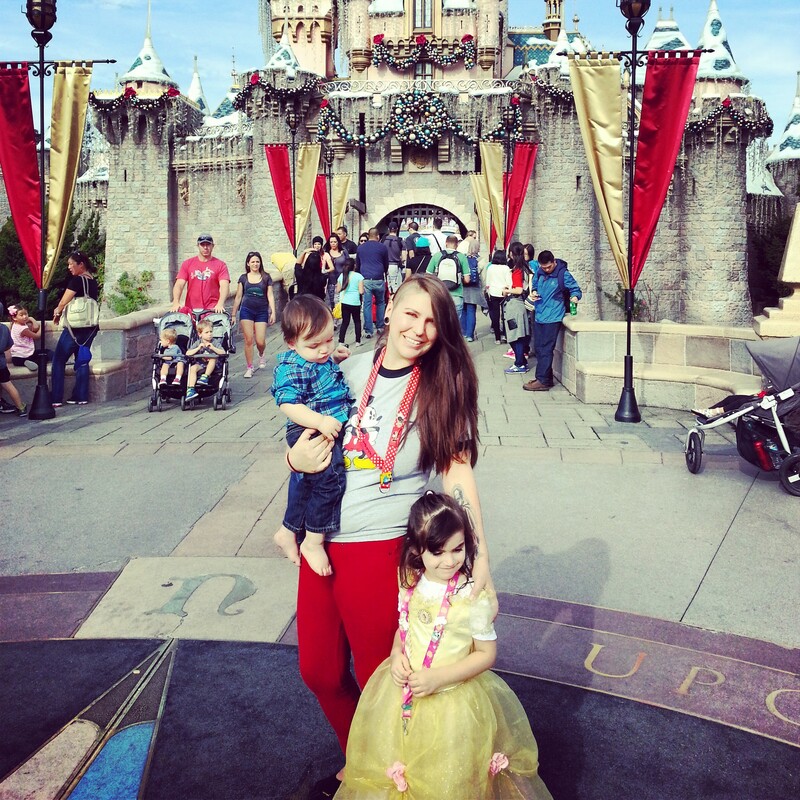 In December the two little kids and I took a surprise trip to Disneyland! Carlos turned 11 months on our trip. 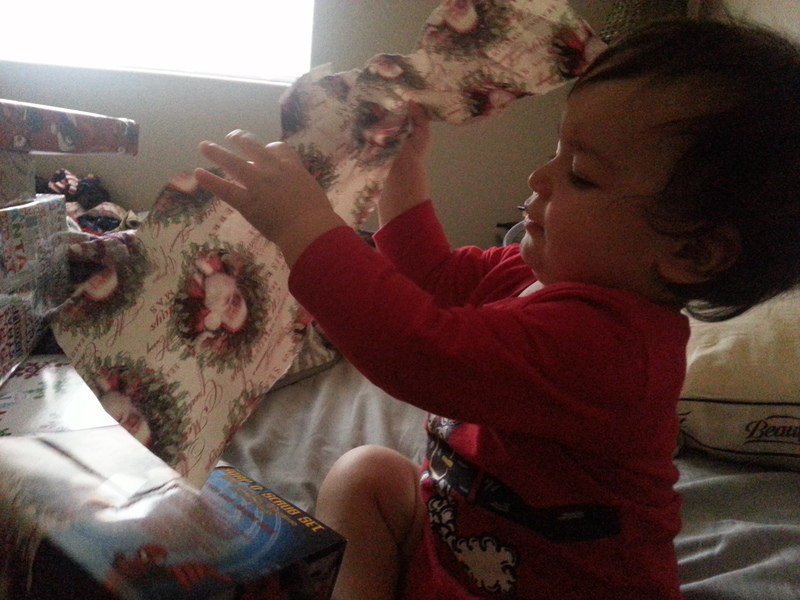 A few days later Christmas came and more than anything I have the most fun watching the kids open up their presents. This year seemed to go by so fast! Every month brought new and wonderful things. And while I don’t personally put pressure on my self to inevitably fail committing to a new years resolution I did feel the urge to do something different with myself this year, and for the first time I ordered out of my comfort zone and tried all new things I normally wouldn’t have. Instead of my regular and safe choice of a burger, I tried fish tacos for the first time. Apparently I had eel (still a sick idea to me), I’ve tried a few things I didn’t like, Boba drinks are not for me but over all it was a success! 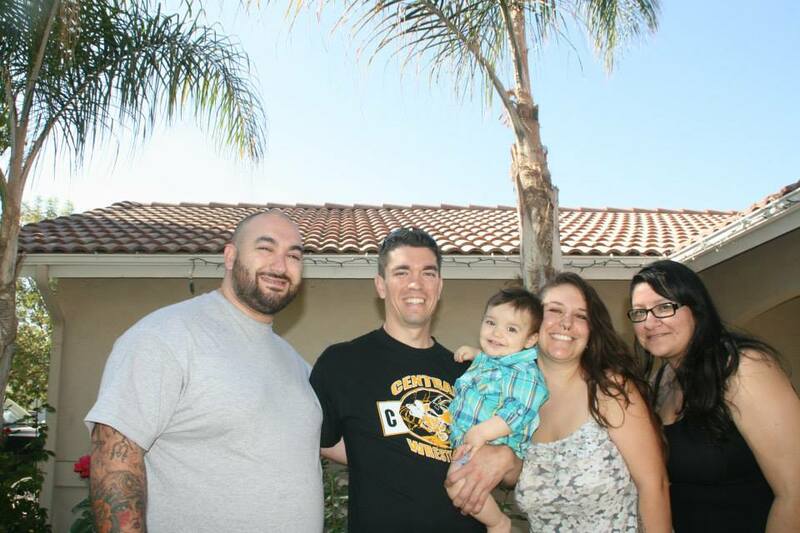 I expect 2014 will be just as amazing with my family by my side. I only pray for continued health for all my friends and family (everyone really) and wealth (enough) to get us by and a few things for what we wish. I want to have more patience, because all of my patience this year has been used up with learning how to deal with three kids. I want to get back on track with learning and reading and continue to make my children’s life fun. May everyone’s year be fruitful for them in more ways than they can fathom, be safe out there always and read on into this new year! Another Holiday is here! The house is filled with Fall and Thanksgiving decorations. The mantel is done up, the outside of our home has our dried up corn stocks from the summer garden and pumpkins next to them. The children have been colored Thanksgiving coloring pages, made felt hand turkeys and we made one giant turkey with all of the kids hands. I printed coloring pages off the internet from my Pinterest board. 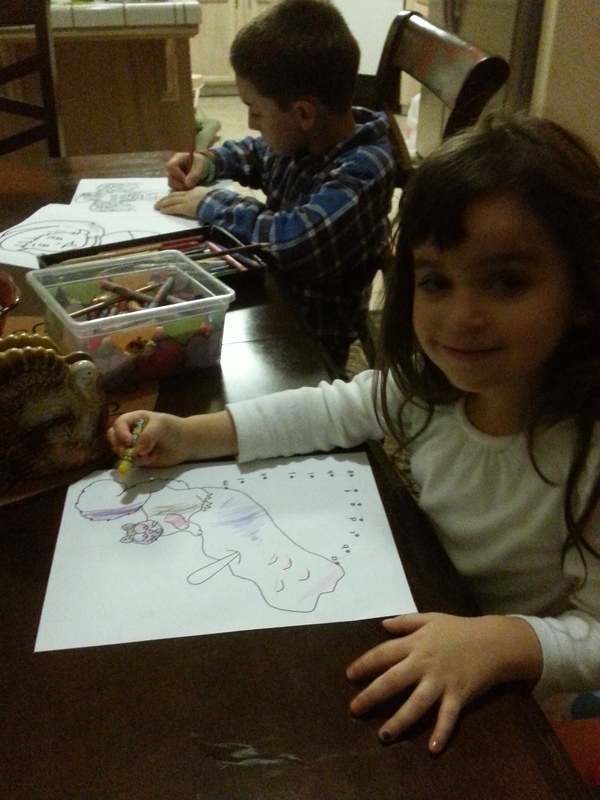 It’s not hard to find a site that has Thanksgiving drawings (or any Holiday or theme) for your children to do. A simple Google search can lead you to a million photos and Thanksgiving games such as word search or connect the dots. Last year you may remember from my blog, I printed out lots of different coloring sheets for the kids to color before the food was ready. It’s a fun little project to have them do all together before the bird is done. I’m starting a simple Holiday tradition with the children. Every Holiday I want to trace their hands and save it into our Holiday box, so I can watch their little hands grow year by year. It started with the Halloween spiders, and continuing with the Thanksgiving turkey hands. 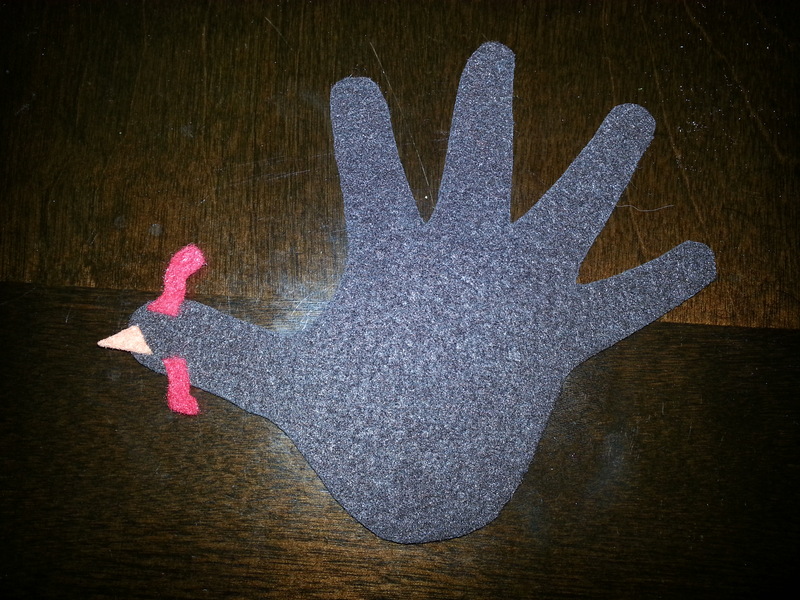 You can also use puff paint and give your turkeys eyes or have the kids designs on the wings with different colors. Just like the Halloween spiders, you can also punch a hole up top and add string and place your turkeys on your mantel or anywhere else you would like to show them off at in your home. I thought what if it was cute to trace the children’s hands and make one big turkey. 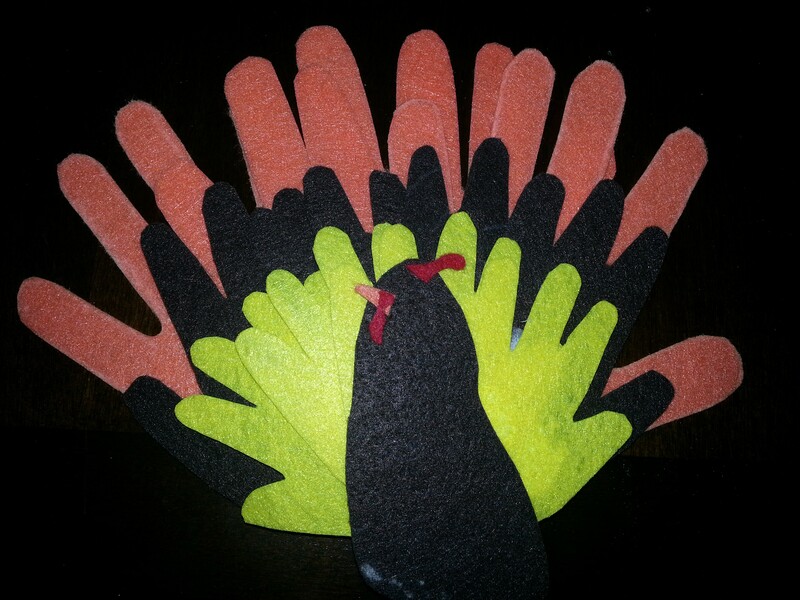 I used the babies little foot for the turkeys body. Tracing a baby’s hand is pretty impossible, let alone trying to hold their foot still and having to trace it or have someone else trace it. I discovered flour! 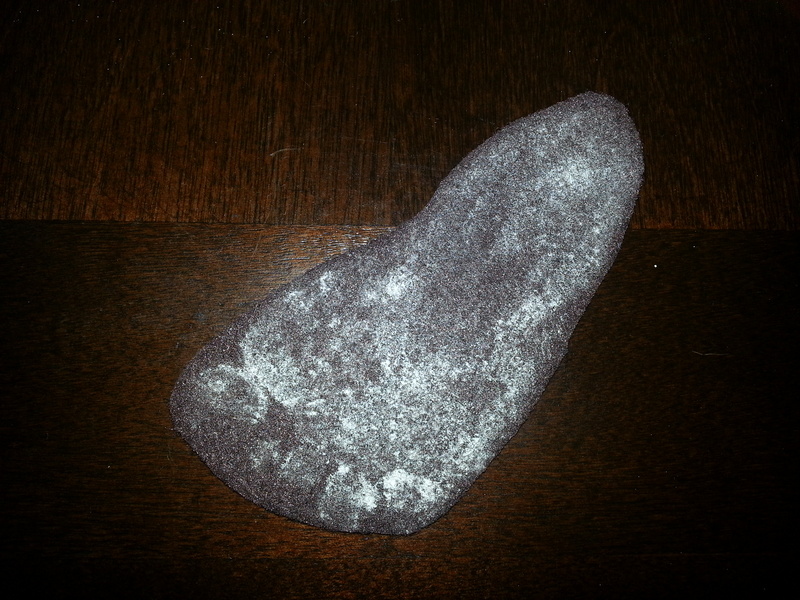 I rubbed flour on the bottom of his foot and put his little foot on the felt. It left a nice a little imprint of his foot for me to trace. It made things so much more easy and less of a traumatic experience. Flour on the foot. I will never struggle tracing another child’s hand or foot again! 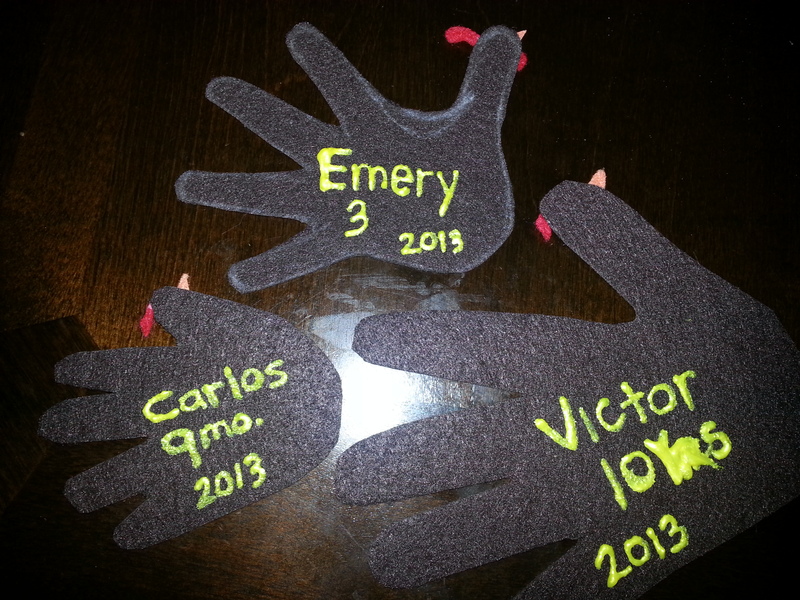 After they had their individual hand I used that one cut out as a template to make all their other hands for the turkey’s wings. You can get more creative and save it in a frame. Enjoy some Thanksgiving activities with the kids before the Holiday is over, and don’t forget to follow my Pinterest for some good ideas on family fun & follow us on Instagram at gypsywidow! The last time I wrote about my little one, was 4 months ago. Four months later, he’s grown into a sweet, playful, little boy. It’s funny to look back at those pictures already and see his changes. He has much more hair now, 5 teeth with 3 more on the way, a little playful personality. I always think my kids are older than they are until I get a reality check. To me, Carlos has always been a big baby. 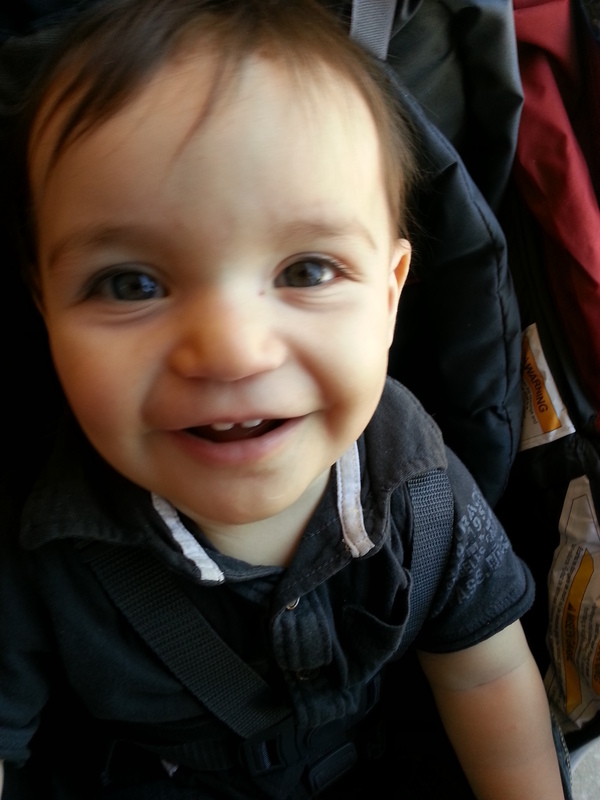 He just grew so fast and got his teeth 7 months quicker than his sister did. But, this weekend while I was holding him and walking up to our car, I caught a reflection of us. 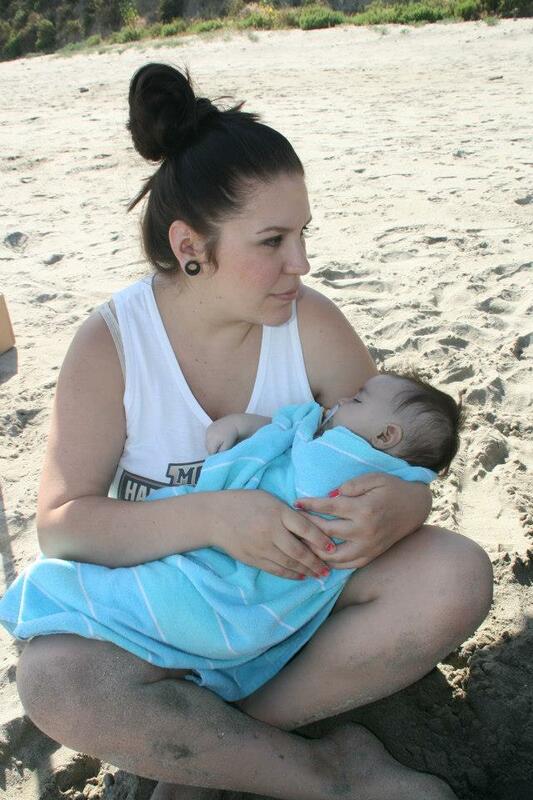 It took me off guard and I stood there looking at him and I. I didn’t realize my baby is still just a little baby. As fast as he’s been growing and learning he still needs to be held. Ever since that day he hasn’t been my big boy, he’s been my little boy again. 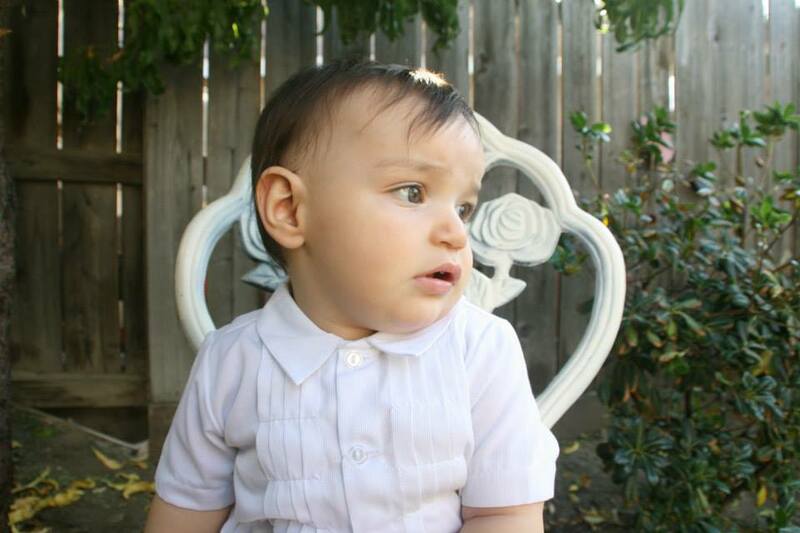 A few months after he was born I was so bummed out, I felt like I didn’t have enough pictures of him as a little baby. Taking care of him, Emery and the house got in the way of me making time to take lots of pictures. I complained to a friend of mine on how big he was already and not a little baby anymore. She laughed, and said, “He’s only 2 months”. In that 2 months their features change so fast but she was right, he was still a little baby and I was already acting like he was about to graduate College. 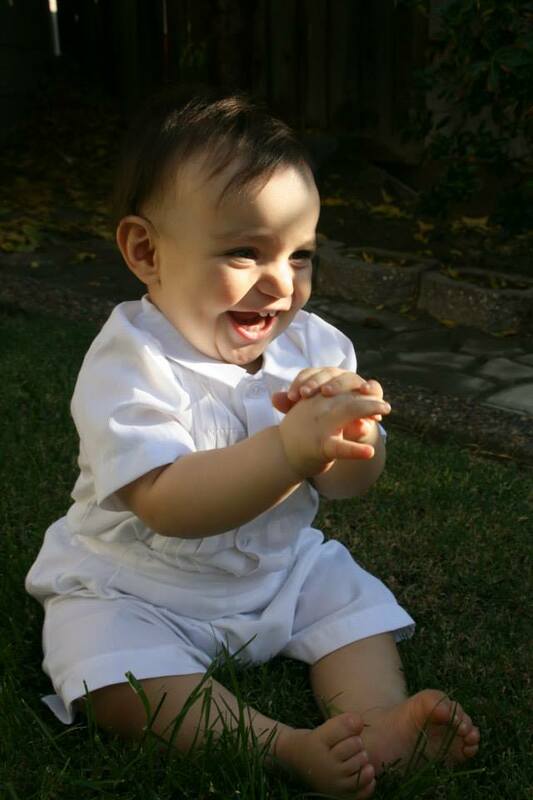 Carlos is understand words and responding by smiles or grunts. I’ve been working on sign language with him for easier communication. Our main signs are, “finish”, “Sister”, “Mom”, “Dad”, “Brother”, “water” and “thank you”. He watches my hands and studies them but has yet to use one. Now that Carlos is crawling he’s determined to start walking. He stands up on everything, which means he’s falling down a lot losing his balance. He’s gotten a lot better and now he sits on his legs. A big one for me is that he now can crawl and sit and sit and crawl. This just happened. Before this he wasn’t much of a sitter! He only ever wanted to stand or to be on the ground. And slowly but surely my husband and myself are introducing some “real” food to him. Carlos only wants table food, he’s very interested in it and I’m sure has caught on that his baby food isn’t as good tasting as ours is. We are hesitant when it comes to food because of choking. As parents, I think that’s the one thing we baby the kids on. Carlos is completely ready for it, so we have to get with the program and have started buying him the next step in baby food. He’s been doing a good job chewing it and using those teeth he has. His favorite “big kid” food is saltine crackers. In another four months this little one will have grown more than I can imagine right now. We will be celebrating his one year birthday. Everyday I’m grateful he’s in my life. I can wait to see the ways he grow and who he becomes. 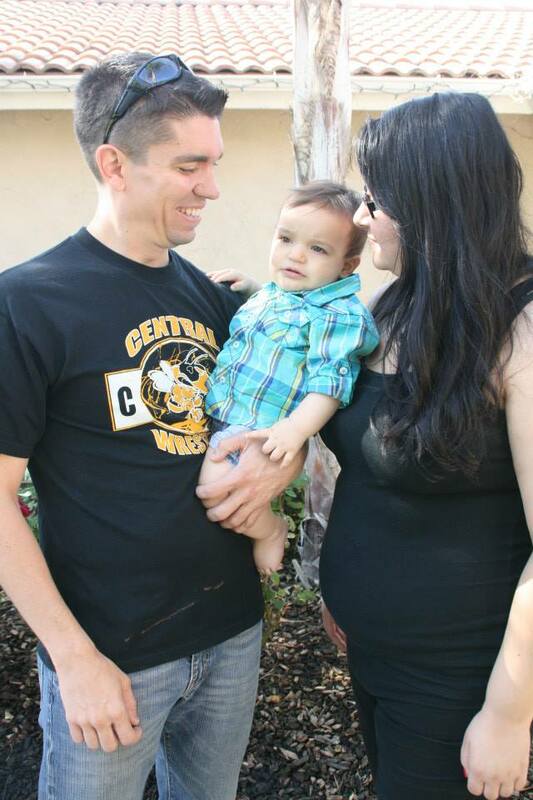 When I was pregnant with Carlos, I would get dizzy spells. I would just be sitting down and all of a sudden I would see sparks. I thought about putting a red dot on the number 9 on my phone, and two red dots on the 1. This way if anything happened to me, Emery would know to press 9 once and the 1 twice. I also put her Dad and her Great Grandma’s picture and phone number on my home screen. She already knew how to turn my phone on and mess with it, so it was easy for her to use. She could just press the picture and it would dial the number for her. These were the two people most likely to answer their phone or at least call back right away. Now that Emery knows her number recognition, I’ve been teaching her how to identify them on the phone in case I needed her help. I told her if she found me on the floor and I didn’t answer, she should check to see if I’m breathing by putting her finger under my nose to feel the air. I practiced this with her the other day, I told her, “don’t forget to check if I’m breathing!” while I laid on the ground. She came up to me and plugged my nose. I jumped up! “Emery I can’t breathe!” her response, “Well Mom, I’m not a Doctor, I’m a patient”. I couldn’t help but to laugh. Of course she’s right, she’s only two. So, I think we will stick to the basics and save the CPR class for another day. Today Carlos is a whopping 4 Months Old. 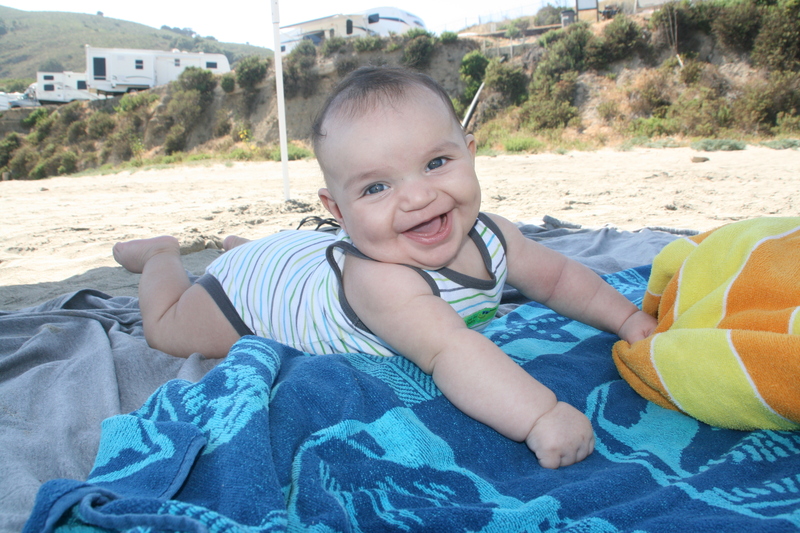 He can control his hands, he grabs things, rolls over from front to back and back to front. He has excellent tummy time (it’s when babies lay on their stomachs for a period of time, to gain arm strength and neck strength for head control and crawling). He laughs out loud. He’s a very good mix of his father and I. Of course he has his very own look, but we are able to see little features of ourselves in him. He has his Dad’s body type, Big legs and a long torso. He has high cheek bones from me and both my children have my feet. He’s always so happy, he wakes up with a smile on his face. He’ll just lay in bed talking and play with his hands until someone gets him. In the morning around 8:30 a.m. his Dad will talk to him, pick him up and bring him to me in bed. Carlos is all smiles and wont really eat first thing in the morning, he just wants to be up. After an hour he’s ready for milk and to go back to sleep for his first nap. If Emery didn’t sneak into our bed during the night she’ll be waking up around the same time and come to my bed to watch her “toons” and ask for some milk. I noticed right away, my kids tend to favor a certain side when they sleep. Carlos for the first 3 months, loved having his head turned to the right side. Now that he knows how to turn over, he’s been sleeping on his left side. 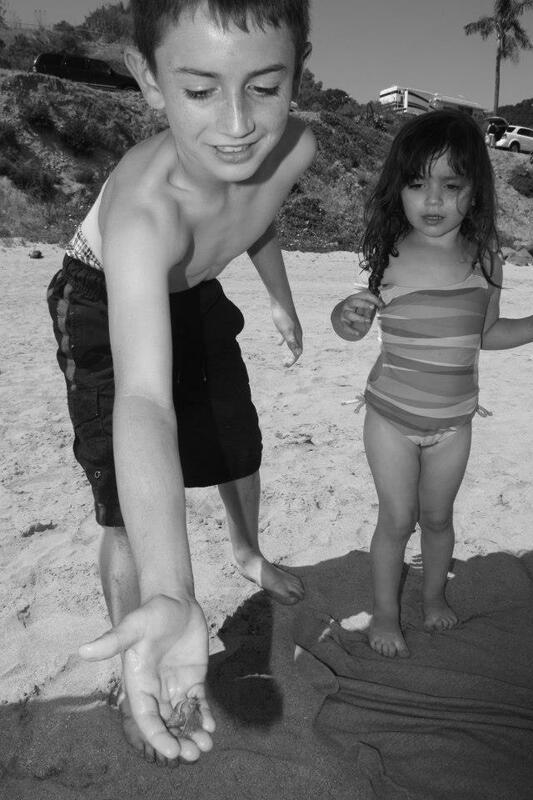 We went on a trip to the Beach. It was Carlos’ first time, he did excellent on the 2 hour car trip. I just fed him before we left and he slept most of the way. This little one is going to have a big personality, he’s so full of life. Without being able to say a single word he makes me happy and laugh. His smile is contagious, I am blessed to have him in my life.